Take a nature walk with City of San Diego Park Rangers to explore the Tecolote Canyon Battle Trail. Attendees will be able to contribute to real-life research by participating in citizen science wildlife observations and data collection. 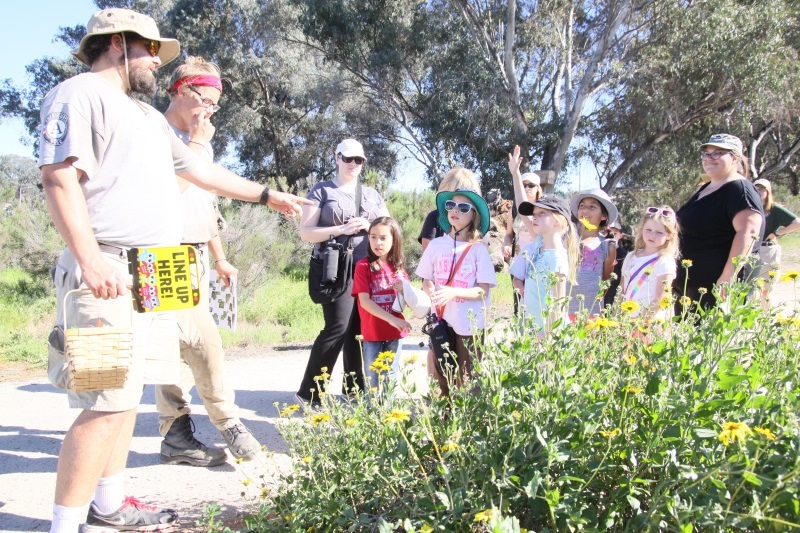 Rangers will lead kids along the Battle Trail in Tecolote Canyon looking for a variety of plant and animal species. This is a great chance for kids to see, touch, hear, and smell nature! Special Notes: Easy nature walk, no more than 1.5 miles. Trail is uneven, but accessible for off-road stollers and wheelchairs (non-electric). Community service hours are available for this activity. RSVP Required. To RSVP, please fill out the form below.